Today I was working on Maintenance Plans of SQL Server and I had to schedule a database backup on daily basis for a client. But once I right clicked on Management >> Maintenance Plan and selected New Maintenance Plan using SSMS, it gave me given below error. Basically, Agent XPs option enables the SQL Server Agent extended stored procedures on the SQL Server and the reason why this error occurs is because Agent XPs is not enabled in SQL Server. Also, if this option is not enabled, SQL Server Agent node will not display in SQL Server Management Studio Object Explorer. There are two methods to resolve it. In this method, we will execute the script to enable Agent XPs. 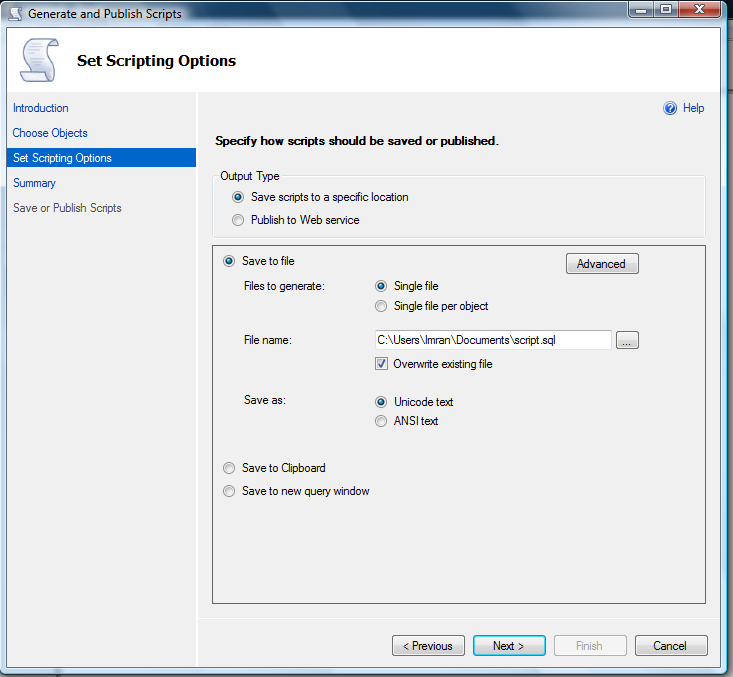 You need to execute the given below script in Query window. 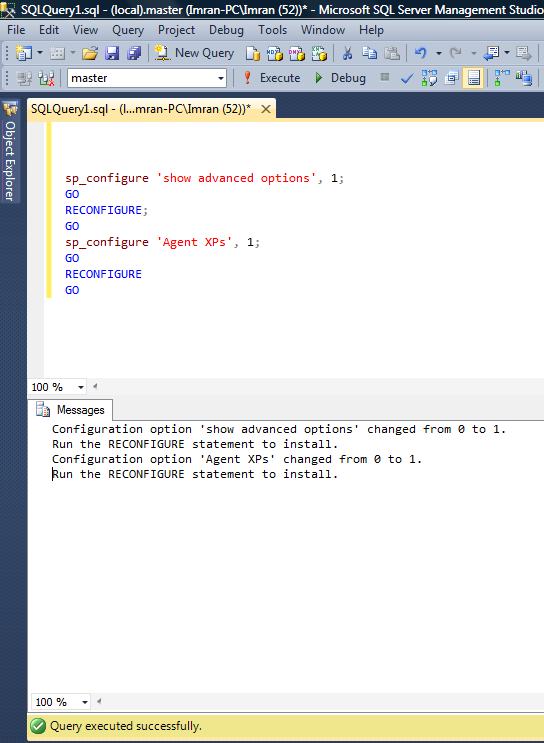 In this method, you do not need to write any script, you just need to open the SQL Server configuration Manager and start the SQL Server Agent as shown in the image below. It will automatically enable Agent XPs. Note : There is no need to stop and restart the server, these settings take immediate effect. Few days earlier, I was working on a legacy application data and found that some characters were merged with the numbers in a column of a table and the issue was, I had to get only the numbers from this column. Given below are the samples which were available in the column. Let me create a sample to demonstrate the problem and its solution. Given below is the solution using string manipulation function. Let me know if you came across this situation and resolved it with the different solution. I came across this query many times whenever I was working on SEQUENCE object (A new object introduced in SQL Server 2012). Because whenever you need to use any sequence object in any piece of code, make sure it exists. Given below are the two methods, you can use to check the existence of the sequence object. This is the preferred method because, it will not only check the existence of the sequence object but also it will give you the details about the sequence object. object catalog view namely sys.objects. Given below is the script. 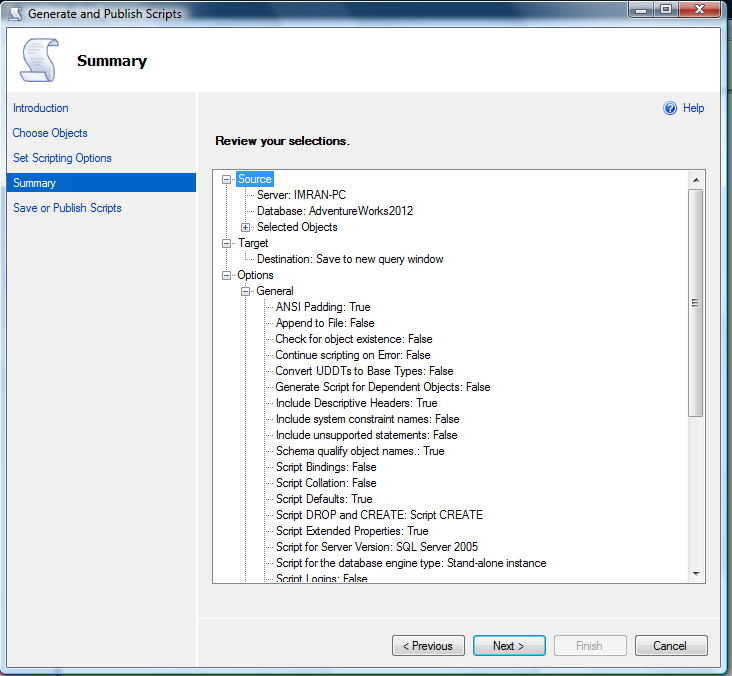 SQL SERVER 2012 – Fix – Error – 11730- Database name cannot be specified for the sequence object in default constraints. I usually create the samples and test cases on tempdb database. 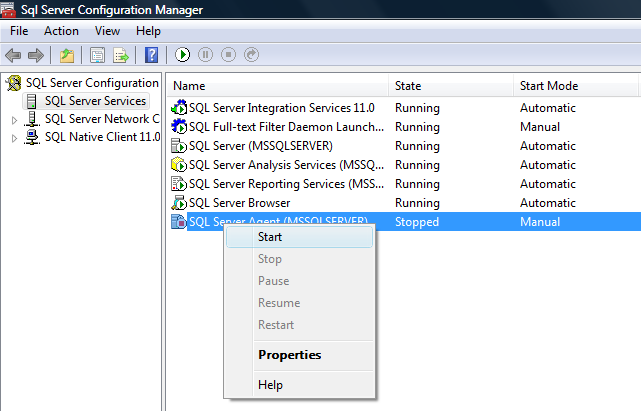 Today, I came a across an issue while working on Sequence object, a new database feature shipped with SQL Server 2012. I tried to use Sequence object from some other database in tempdb database and it gave me given below error message. 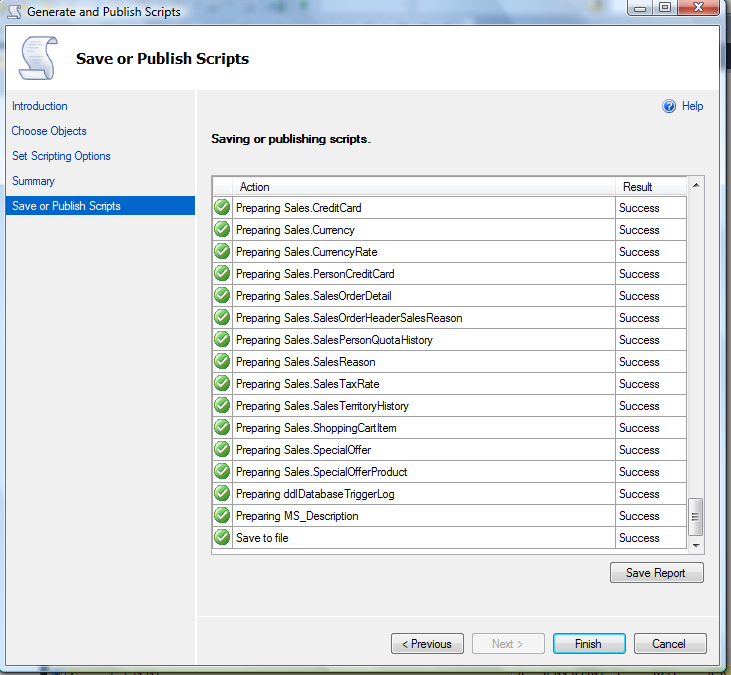 Error Message: Database name cannot be specified for the sequence object in default constraints. In the given below script, I tried to make sequence object (resides in another database (Adventureworks2012)) as a default value of a column in a table. 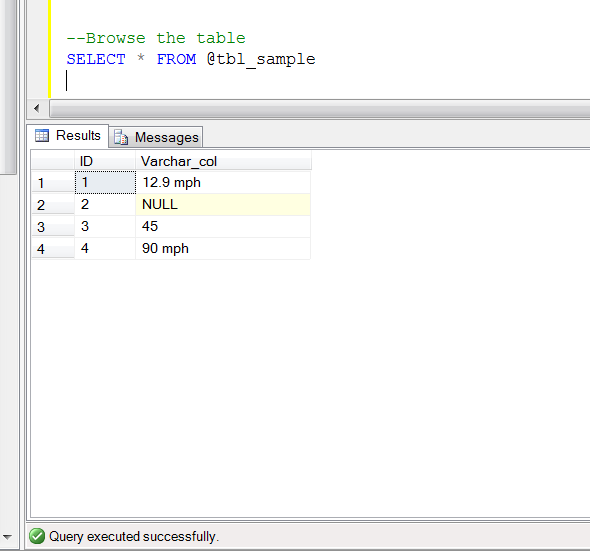 This table resides in tempdb database. Let me create a sample to demonstrate the issue. 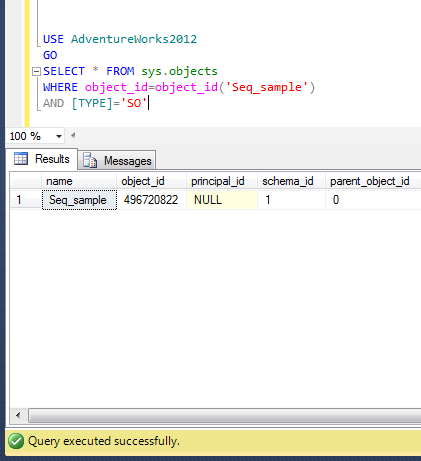 --Create a sequence object in AdventureWorks2012 database. Database name cannot be specified for the sequence object in default constraints. Ooopps…… I am unable to make a sequence as a default value in a table if Sequence already resides in another database. ). 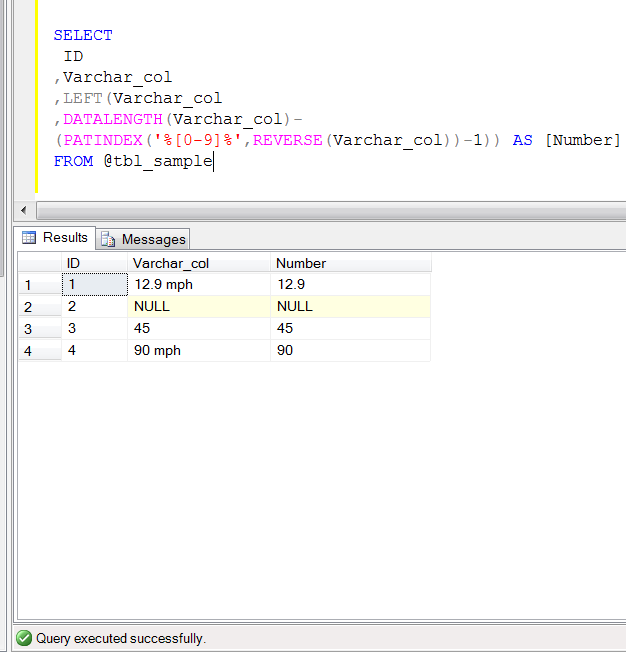 So, using this three part name, you can insert the sequence value in any database. Given below is the sample. ‘Can you restore SQL Server 2012 backup in earlier versions of SQL Server?’ I came across this question many times from the community and the simple answer is NO. You cannot restore a new version of SQL Server backup in earlier versions. However, there is a way around that can be followed to achieve it. Basically, you can generate the script of all objects along with the data using SQL Server 2012 with any earlier versions compatibility and run those scripts on earlier versions of SQL Server. 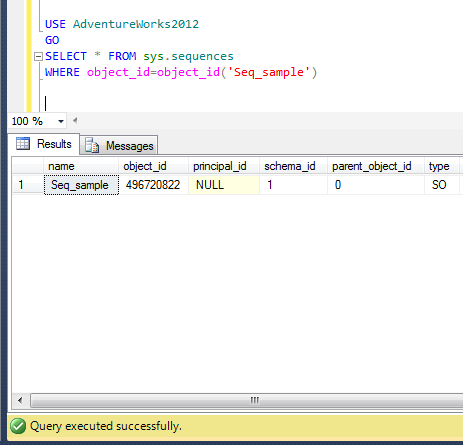 This is how you can get the complete data with schema from SQL Server 2012 to earlier versions. 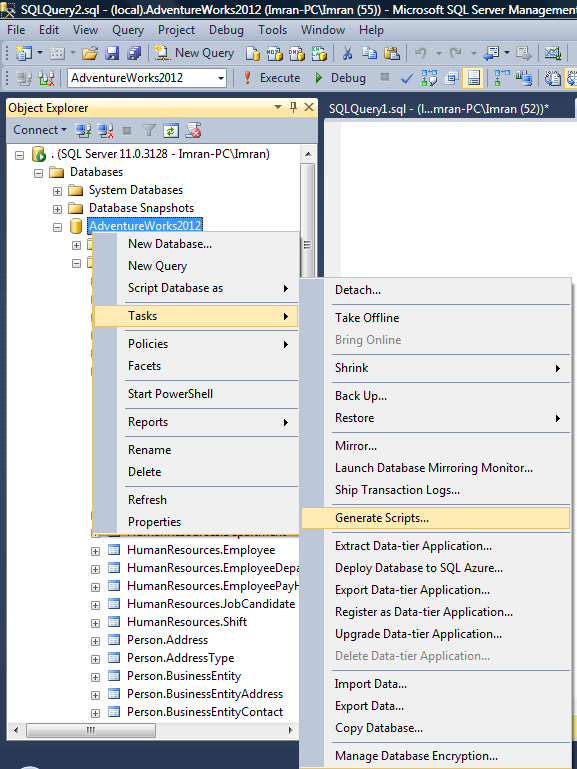 SQL Server database backup to an earlier version of SQL Server. Given below is the image. The media family on device ‘E:\DBBackup\AdventureWorks2012_Backup\AdventureWorks2012_Backup’ is incorrectly formed. SQL Server cannot process this media family. Let me proceed with the solution, step by step. Given below is the image. Given below is the informational screen, that will guide you how to generate the scripts along with the steps. Press NEXT button. In this step, you will get two options. Given below are the details. 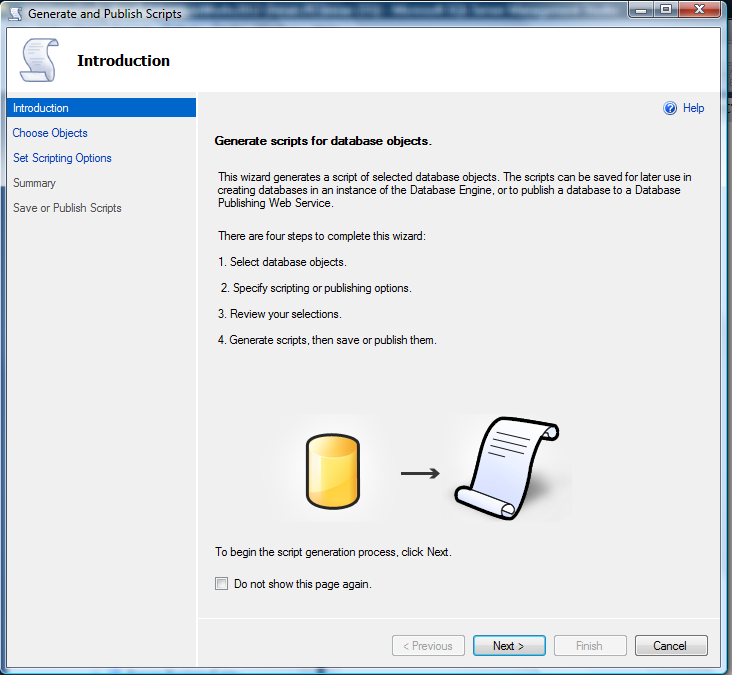 Option 1 is preferred because you can generate all database objects altogether from it. However if you upgrade any object using any new features of SQL Server 2012, then you should select Option 2 and exclude that particular object and press NEXT button. Given below is the screen image. 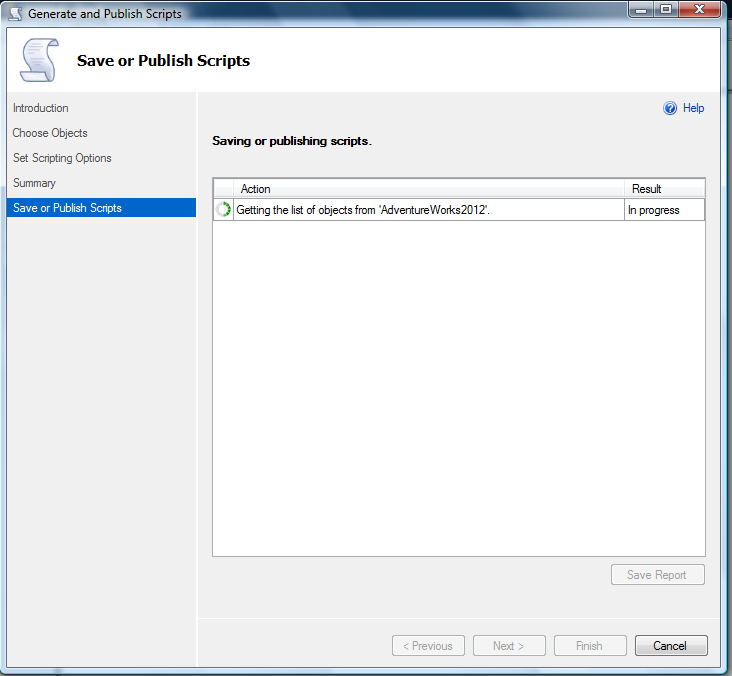 In this option you need to select the script file location to save all the scripts in a particular file. Rest of the options you can leave as default. Once you are done with the file location, you can see an ADVANCE button. Click on this button. 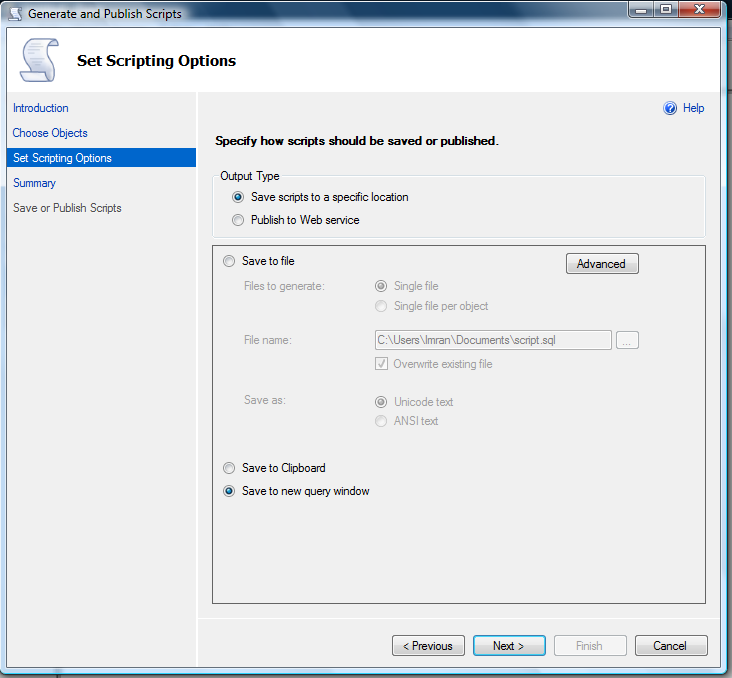 It will open the advance option for the scripting. Once you are inside the Advance option, you need to select further two options. Given below are the details. Type of data to script. 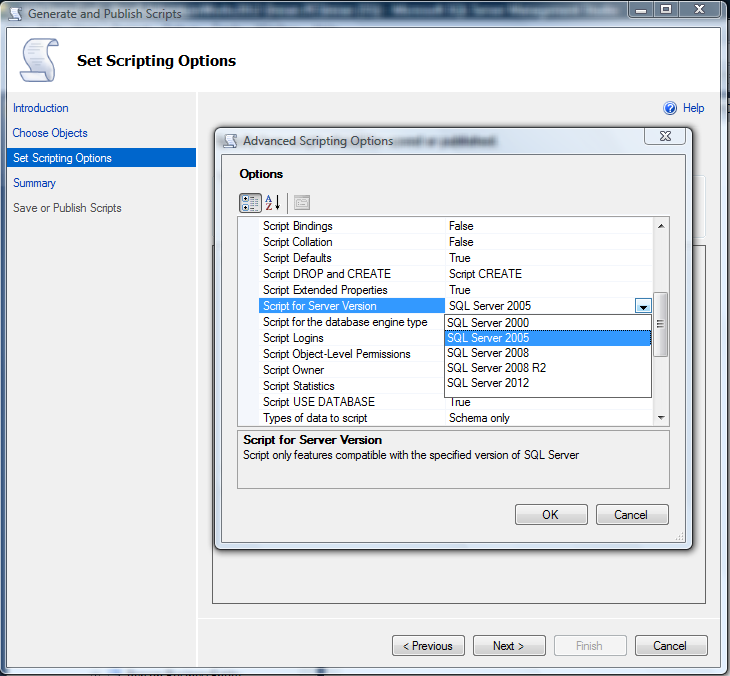 In the Option 1 make sure that you have selected the right earlier Version of SQL Server, as shown in the image below. 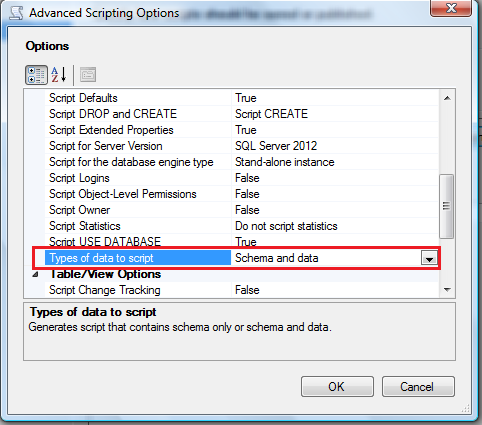 In the Option 2, make sure that you have selected Schema and data, as shown in the image below. Once you configure both options, press OK and press Next in the previous screen, as shown below. Once you press NEXT button, it will take you to the summary screen where you can see all your configuration altogether. Again press NEXT button to proceed, as show in the image below. 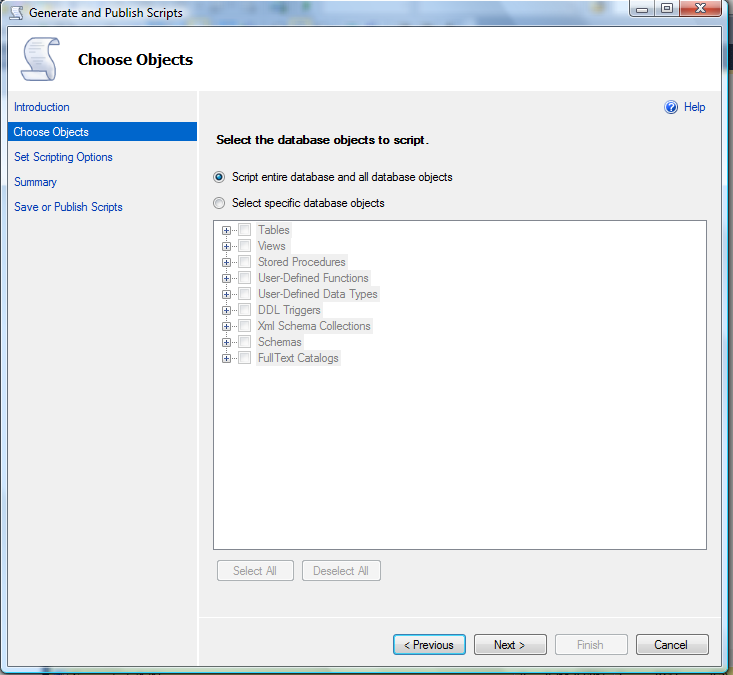 In this step, SQL Server will automatically script all your selected object along with the data. And will give you the status report, as shown in the image below. Now you need to browse the file you saved in particular location in the Step 4 and Execute it in selected earlier version of SQL Server. Let me know if you came across this problem and resolved it in a different manner. Few days ago, I received a query from one of my blog readers inquiring how to implement a conditional where clause in a SQL Server query / stored procedure. His requirement was quiet simple. He said that if he passes any filter value to the query / procedure, it should consider that filter otherwise query should ignore that filter and return all records. In this example, I did not pass any filter to the stored procedure, so the stored procedure ignored all filters and it returned all records as expected. In this example, I passed only one filter to the stored procedure and it returned records on the basis of only one filter and ignored the second filter. 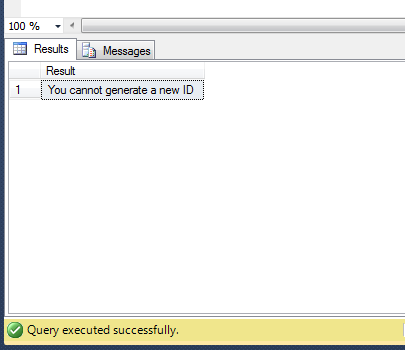 Recently I came across an issue related to the sequence object (shipped in SQL Server 2012) because usually we generate the next ID from the sequence object without checking whether it has reached its limit and it cannot generate a new ID. Due to this it generates an error as well. Given below are the error details. The sequence object ‘Seq_Sample1’ has reached its minimum or maximum value. Restart the sequence object to allow new values to be generated. Sequence object maintain its minimum and maximum value by default. So what is the solution ? But before proceeding with the solution let me create a sample. --because it has a maximum limit of 4. In this solution, you need to check the minimum and maximum value of the sequence with the current value and if it matches either of them, it means that sequence has been reached to its minimum or value and you cannot generate a new ID. It is not recommended because it is a lengthy procedure. Given below is the script. In this solution, we will use a sequence property namely “is_exhausted” and can quickly check whether it reached its limit or not. As you can see, both solutions generate the same output but solution 2 is recommended because we used a property namely “is_exhausted” and reduced the size of the script.